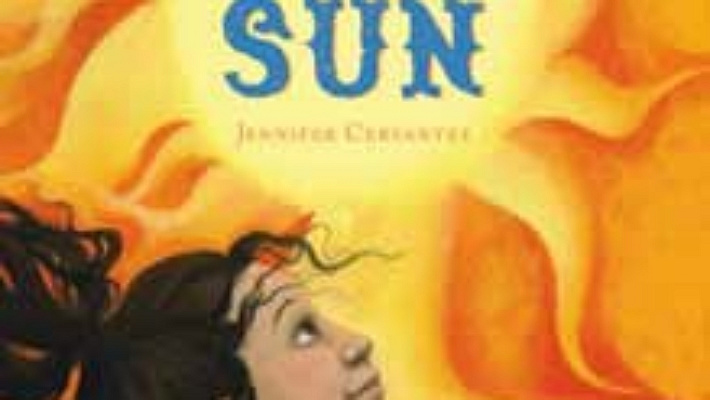 The thing that first hooked me onto Tortilla Sun was the word “magic.” In the first few sentences of Chapter One, Izzy Roybal is introduced as a discontented, lonely character, unhappy with her frequent moves all over San Diego and wanting to discover the secret of her long-dead father. Finding the old baseball in the bottom of a packing box enables her to take her first steps towards that. The words “because magic” are written on the baseball, with a small space between them as if something was missing. Izzy quickly figures out, from her mother’s confusion and annoyance at seeing the ball, that it was her father’s. Already, clouds of questions are beginning to roll through her mind… and mine. What is the secret of Izzy’s father that her mother has kept to herself for so long? Could the baseball be magic? And what are those missing words? The second thing to grab my attention was the fact that Izzy writes stories… or tries to. Like me, she is always eager to start a story but almost never has the impetus to finish it. The only thing that keeps her writing are the story cards that her fifth-grade teacher gave her. “Small cards aren’t so intimidating for budding writers,” she had said. The final touch, that kept me reading for the rest of the book, was Izzy’s surprise and anger when her mother tells her she must go to New Mexico for the next two months of summer. I had mixed feelings about this. As I live in New Mexico myself, part of me wanted to defend my home state. The other part, however, sympathized with Izzy. 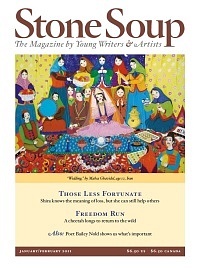 Her shock that she is being sent off alone to her grandmother’s—without being told why—reminded me of myself. Even in the beginning, Izzy’s search for the truth is made clear. Izzy’s grandmother—or Nana, as she calls her—is bright and twinkly but very religious and obviously capable of bearing great burdens, as I realized when I first met her. When Izzy is taken aback by how colorful her room is, Nana responds with, “But of course it’s colorful. Life is color, isn’t it?” My admiration for Izzy’s grandmother grew at her first tortilla-making lesson. When she tells Izzy that they must say the Hail Mary three times before starting, Izzy is embarrassed to say she doesn’t know it. But Nana does not say a single derisive word or even show much surprise. This came as a pleasant shock to me, for making fun of someone’s religion—or lack of it—is something almost no one will hesitate to do. Exploring the village, Izzy begins to hear words on the wind. “Come,” they say, and later, the name Bella. Another mystery begins to take shape. Could the wind have the right person, if it is the wind talking at all? How could an Isadora hear the word “Bella” on the breeze, as if it were calling to her? The rest of Izzy’s story cannot be told without revealing the end; however, it can be hinted at. The end of Izzy Roybal’s search for truth includes a talk with Socorro, the village storyteller, and a golden glass “truth catcher”; the shattering story of her father’s death; a near-fatal accident; and a name that is almost new. Does it end happily? 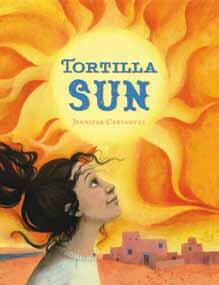 To find out, you’ll have to read the enchanting story of Tortilla Sun for yourself.